Hey hey hey! Sorry for the short absence, I've been (am still am) feeling really under the weather. 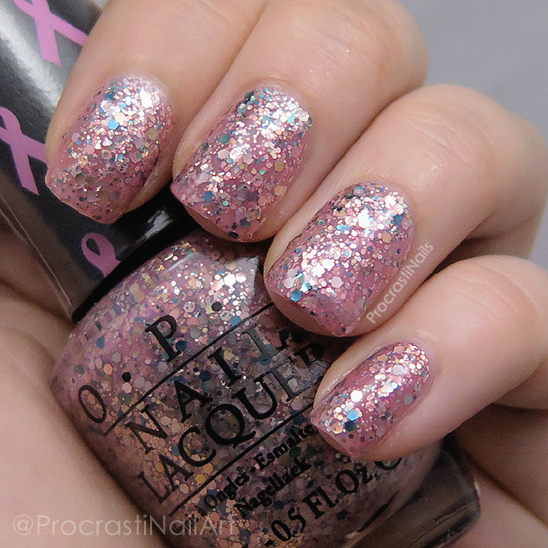 :( So with that in mind we're sticking with a quick swatch for today - this is OPI More Than a Glimmer from the OPI 2013 Limited Edition Pink of Hearts Duo. 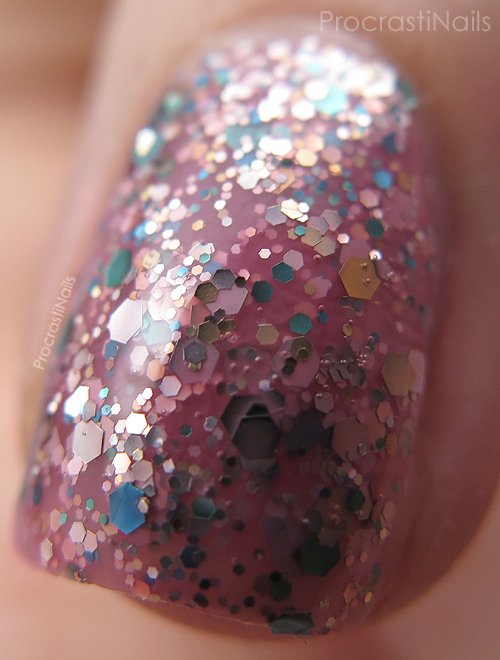 This is also today's swatch for The 14 Days of Valentines! 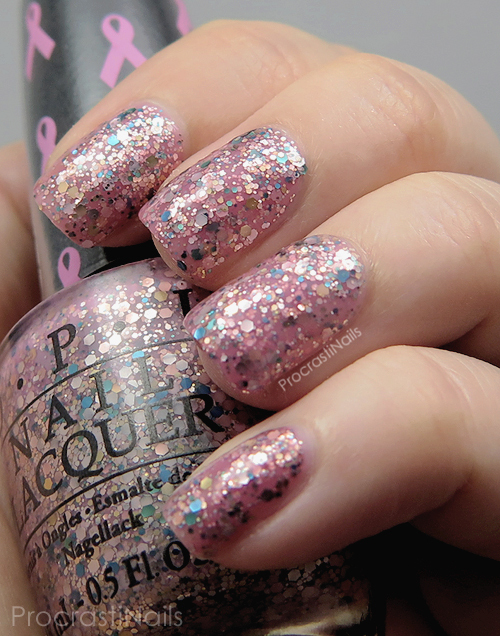 More Than a Glimmer is a sheer pink crelly polish packed to the brim with coloured glitter. What you see swatched is two coats with top coat - without top coat this actually dries matte! This has always reminded me of a pink version of China Glaze It's a Trap-eze! (Which I just realized I have never swatched... Guess I need to fix that asap!) Is it just me? I think this is a gorgeous glitter-ful look for V-Day, and I think it's also more generally appropriate for spring and Easter. :) The glitter shades are all softened by the pink crelly which makes the whole look glittery and dreamy and perfect in my opinion. Check out the other looks for day 6 of The 14 Days of Valentines below! I used a peel off base coat so it wasn't as bad as it could have been! On naked nails it would definitely be a pain though lol. Its a pretty glitter polish. Very girly. thought I would't be able to find this but target has it in stock!